Garlic sure is tasty, but preparing it can be irritating. My mom always used prepared garlic growing up, sparing herself the hassle, but I’m a fan of all-things fresh. 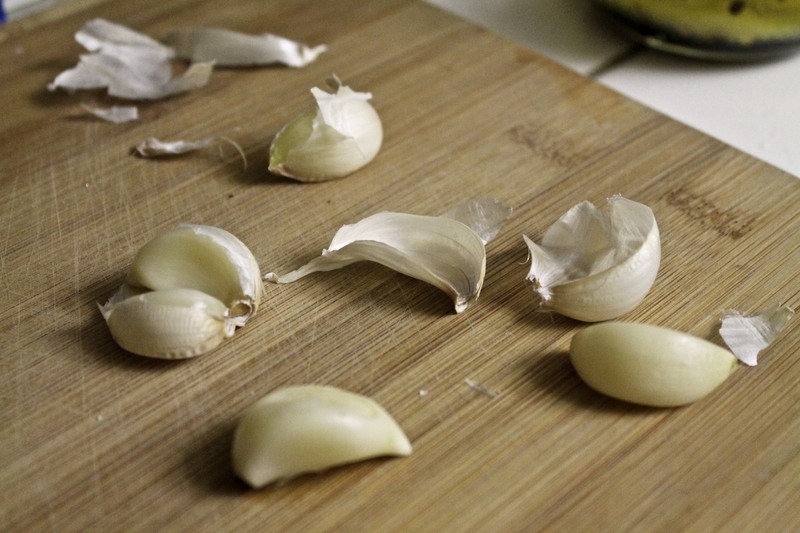 The good news is, peeling garlic can be super easy. You just gotta know the tricks of the trade. Microwave: Pop your required cloves in the micro for 5 seconds and watch the peels slip right off. Careful though—if they spend too long in there they pop around like popcorn and get too hot and mushy to cut. Chef’s knife: This is the classic way. Just turn your chef’s knife on its side and smash it down with your palm on top of the garlic. The peel will slide off. Tell me, how do you guys peel your garlic?